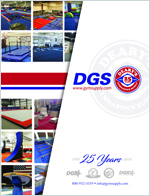 This curriculum guide will enable a gymnastics school to start a profitable preschool dance program. A great way to make more daytime money! These lessons coincide with Patti's #201 preschool lesson plan setups and themes. You can provide a unique dance experience that no other dance school can offer. 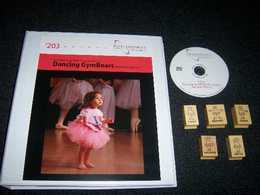 Included are ballet handstamps and DVD of sample classes, a quick ballet tutorial for the teacher, and a sample of Patti's dance recital. This is a super easy program to offer and quite the instant money maker! A C.D. of all lessons is available for an additional $25.00. Call for details.